Gerald A. McDermott is Professor of International Business at the Moore School of Business of the University of South Carolina, where he is also the Director of the Master of International Business Program, and is a Senior Research Fellow at IAE Business School in Argentina. He was previously Assistant Professor of Multinational Management at the Wharton School of the University of Pennsylvania for seven years. He received his Ph.D. from the Massachusetts Institute of Technology (MIT). Dr. McDermott specializes in international business and political economy, particularly on issues of innovation, risk, corporate strategy, and institutional change in emerging market countries. His earlier work examined the impact of industrial networks on the creation of economic governance institutions in post-communist countries. His second stream of research has focused on South America, where he examines the socio-political conditions under which societies build new innovative capacities to achieve sustained upgrading in their industries. Besides relevant scholarly articles, this work has thus far produced a highly unique multi-region, multi-sector (wine and autos) data base with state of the art measurements of firm-level upgrading capabilities, inter-firm networks, and institutional networks. He is extending the methodology to such sectors as bio-technology, agricultural machinery, and IT as well as to variety of countries. His third stream of research examines the impact of transnational integration regimes on local institutional development via a comparison of the EU accession, NAFTA, and Mercosur. Dr. McDermott has published articles in many of the leading scholarly journals in management, international business, and politics, including Comparative Political Studies, Industrial and Corporate Change, Review of International Political Economy, Academy of Management Review, Academy of Management Journal, Journal of International Business Studies, Organization Studies, and Politics & Society. Dr. McDermott’s first book, Embedded Politics: Industrial Networks and Institutional Change in Post-Communism (University of Michigan Press, 2002), was a finalist for APSA’s 2003 Woodrow Wilson Foundation Award for the Best Book on government, politics, and international affairs. 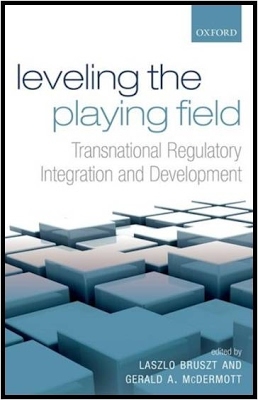 His most recent book, with Laszlo Bruszt, is Leveling the Playing Field: Transnational Regulatory Integration and Development (Oxford University Press, 2014). He has received numerous awards and grants, and has also collaborated with the multilateral lending institutions and the governments of the Czech Republic and Argentina. He lived in Prague for over 4 years and in Buenos Aires for over 6 years, being proficient in Czech and fluent in Spanish. Gerald A. McDermott se doctoro en el MIT – Massachussetts Institute of Technology - y es profesor de Negocios Internacionales en la Moore School of Business de la Universidad de South Carolina y es Senior Research Fellow de IAE Business School – Universidad Austral en Argentina. Previamente fue Profesor de Multinational Management en la Wharton School – Universidad de Pennsylvania por siete años. Ha publicado libros y artículos en prestigiosas revistas académicas internacionales sobre temas de management internacional, innovación, y políticas económicas. Vivió varios años en Praga, la República Checa y en Buenos Aires, Argentina. Su investigación se ha concentrado en la problemática del aprendizaje en las organizaciones e instituciones y el papel de las instituciones públicas-privadas en mercados emergentes – especialmente en lo que respecta a las alianzas, “network assets” y re-estructuraciones. Esta línea de investigación analiza el impacto de las instituciones domésticas en la formación de clusters competitivos globales para las empresas Sudamericanas. En sus estudios de los sectores vitivinícola e autopartes en Argentina, demuestra en que manera empresas y gobiernos en pueden transformar sus redes de conocimiento y mejorar tasas de innovación y performance. En 2008, lanzo un proyecto nuevo sobre el impacto de “regímenes transnacionales de integración” en la evolución de instituciones regulatorias en países subdesarrollados, por un análisis del impacto de la Unión Europea en Europa del Este, NAFTA en México y Mercosur en Argentina y Brasil. 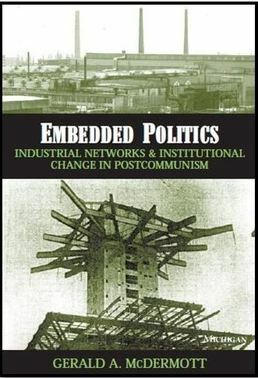 Su primer libro Embedded Politics: Industrial Networks and Institution Building in Post –Communism (University of Michigan Press, 2002) fue elegido como uno de los finalistas para el Woodrow Wilson Award al mejor libro en Ciencias Políticas en los EEUU. También publico varios artículos sobre management internacional, innovación, y política económica en los journals académicos más prestigiosos en el mundo. Su libro nuevo Leveling the Playing Field: Transnational Regulatory Integration and Development, se publico con Oxford University Press (2014).